I would be very interested in a copy. Fingers crossed. Even though I've written on RAL, I've never been able to get a copy of this book. I've found rarer titles, but never this one. I haven't read this one yet. Would love to join the discussion. Hook me up with a roll of the dice, please. Thanks! 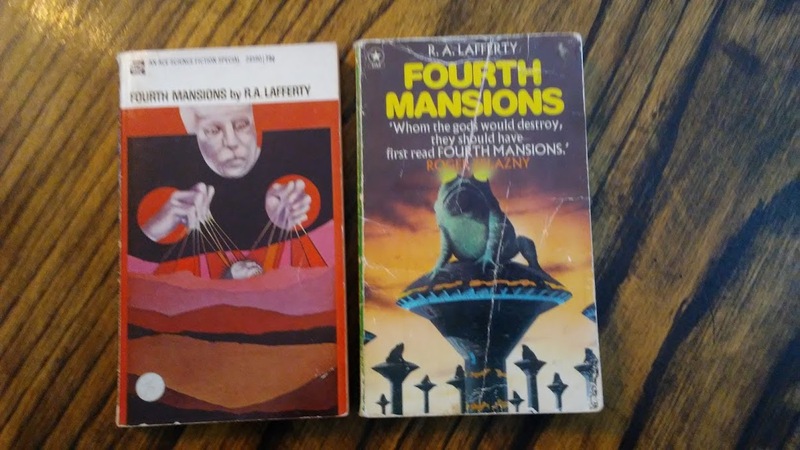 Love the site and don't own any original Lafferty books, I'd love to have a go and win one of the paperbacks. Especially with this story. Matt! Steven! Mike! Thank you, all three of you, for entering our contest. 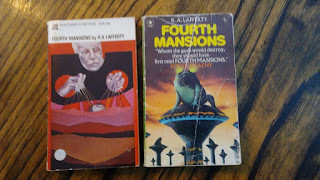 Two out of the three of you will be winning copies of Fourth Mansions. I was hoping for many more entries, but the odds are better for you lucky few now. I'm a little late, but I will now roll a d4 and see who the lucky winners are. I've uploaded the (incredibly exciting) video of the die rolls to my personal Instagram account. Rolling a d4! I really do hope that we see you at this year's LaffCon! Oh well, not my day! Hope the other two enjoy; I'll find a copy one of these days. Thanks for your generosity in running the contest.